Jazz bands and cruise ships go together like peaches and cream. If you want to add some first class music to your on-board events, an eight piece band can make everything go with a swing. We are experts at providing live jazz bands for cruise ships and there’s a professional musician for any mix of passengers you can think of, from single artists to bigger ensembles. A jazz band can set just the right mood on your cruise, ranging from the quirky and technically brilliant, to something that everyone can dance along to. 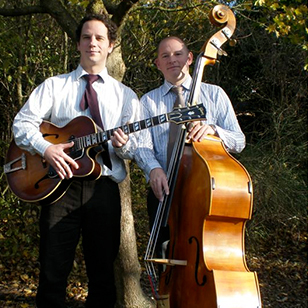 In fact, there’s a style to suit every occasion from ragtime to gypsy jazz, big band and bossa nova. You get high quality, live music. You can choose what kind of jazz band you want. You get professional musicians who know how to deliver. You get memorable acts that your cruise passengers will remember. What makes the Jazz Agency different? First of all, you don’t have to go through a third party agent, you come straight to our site, take a look at the acts on offer and choose the one you want. Secondly, you can browse the options that match the mood of your cruise. Want something with a little old time swing for those senior passengers? Or maybe you want to get the dance floor thumping with a more energetic combo. Need some mood music for the lounge or something to entertain passengers during their meal? The Jazz Agency has got the answer to all your needs. 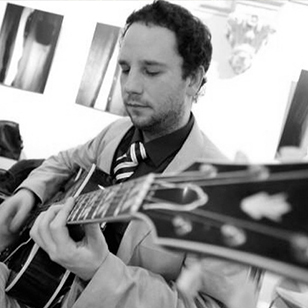 We supply professional, talented musicians who have performed at some of the top London venues, from Ronnie Scott’s and The Caprice to Buckingham Palace. 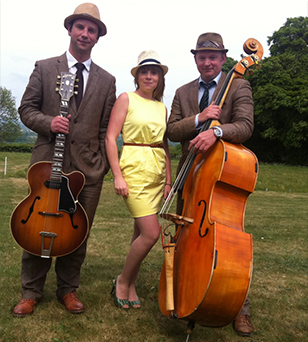 Check out one of our most popular three piece jazz bands in the Sara Oschlag Trio. Or maybe you want the unique guitar talents of Nigel Price. We specialise in jazz bands because it’s our expertise. It’s our passion. It’s what we’re good at. What makes the Jazz Agency different? All of the above and a commitment to providing quality acts that make your evening go with a bang. It’s easy to find the jazz band or artist that you want for your cruise and hire them online. Decide what kind of budget you are going to make available. Take a look at the space you are going to want the band to perform in. Browse our selection of artists and see what takes your fancy. 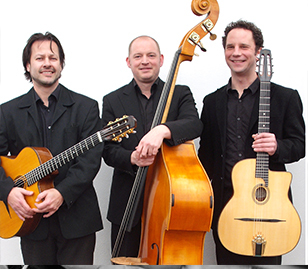 Of course, the bigger the band and more people, the more it will cost, but if you have a smaller budget then why not look at our quartets and trios. Book the band and sign the contract. Booking live jazz bands for cruise ships is about as simple as that. No middle man or worries about them showing up before the boat sails. Just a professional, friendly service that helps set the mood for your popular cruise. Start browsing our jazz bands now.